God takes into account our knowledge, opportunities, and skills whenever judging our actions. Luke 12:48: When someone has been given much, much will be required in return; and when someone has been entrusted with much, even more will be required. Ephesians 2:10: we are God's handiwork, created in Christ Jesus to do good works, which God prepared in advance for us to do. God gives us knowledge so we will walk in wisdom. He gives us skills and opportunities so our service to His kingdom can be enjoyable, meaningful, and effective. We can choose to be the faithful servants or the unfaithful servant described in the parable of the talents. Whether street cleaner or executive, store owner or homemaker, every resource, skill, and opportunity is a gift from our Lord. Let’s use them for His glory! 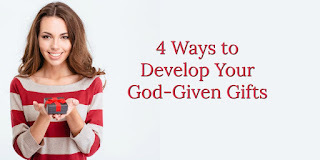 You might also enjoy this 1-minute devotion: 4 Ways to Develop Your God-Given Gifts. 1. When we know the Lord and understand His Kingdom purposes, we have a responsibility. 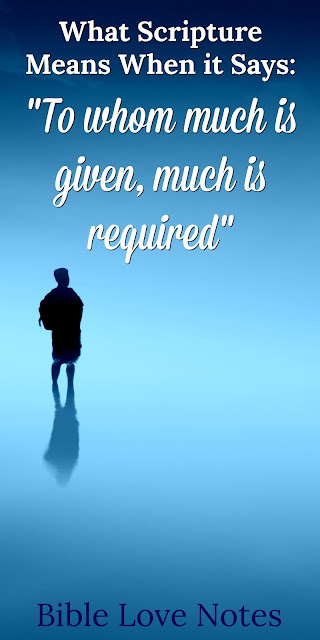 Much is required of us. Luke 12:47-48: The servant who knows the master’s will and does not get ready or does not do what the master wants will be beaten with many blows. 48 But the one who does not know and does things deserving punishment will be beaten with few blows. From everyone who has been given much, much will be demanded; and from the one who has been entrusted with much, much more will be asked. 2. What a wonderful privilege to have God design good purposes for each of us according to our gifts and personalities! New International Version: For we are God's handiwork, created in Christ Jesus to do good works, which God prepared in advance for us to do. New Living Translation: For we are God's masterpiece. He has created us anew in Christ Jesus, so we can do the good things he planned for us long ago. 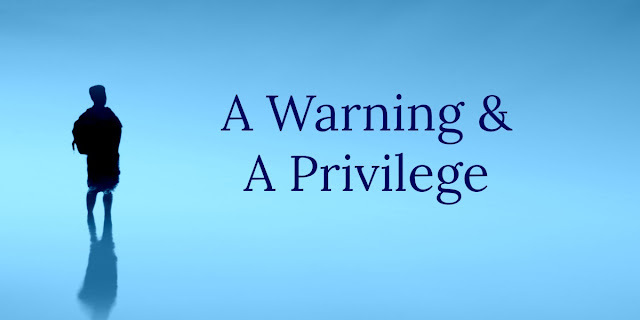 But it's a privilege with responsibilities attached. Colossians 3:23-24: Whatever you do, work at it with all your heart, as working for the Lord, not for human masters, 24 since you know that you will receive an inheritance from the Lord as a reward. It is the Lord Christ you are serving. 3. Are you serious about using your skills, knowledge, and experiences for God's purposes? This doesn't mean you must have a ministry career. It means that no matter what you do, you do it for the glory of God. You intentionally think about how your words and actions impact those around you. You do your best to be a faithful representative of Christ. 1 Corinthians 10:31: So whether you eat or drink or whatever you do, do it all for the glory of God. 1 Peter 4:10-11: Each of you should use whatever gift you have received to serve others, as faithful stewards of God’s grace in its various forms. 11 If anyone speaks, they should do so as one who speaks the very words of God. If anyone serves, they should do so with the strength God provides, so that in all things God may be praised through Jesus Christ. To him be the glory and the power for ever and ever. Amen. Happy Monday Gail. I found much comfort in this devotion. Convicted by the Scriptures in the devotional, I realize that I am not fulfilling my God-given potential; I haven’t been for quite some time now. Nevertheless, all things are working together for my good in Christ Jesus. Gail, dearest friend, and encourager of many a believer in God; THANK YOU! May I steward all that Christ has given me for His glory and in His name. I am always blessed to hear that something I wrote encouraged someone in some way. It's not always fun being convicted, but it's always worthwhile. May God continue to speak to your heart. I enjoyed your notes. As GOD gives us the talents and gifts,these are not for ourselves,,these are to bless and help others. Yes,it can be weighty at times,spreading yourself here and there,,but GOD gives us strength,so we can do what we SHOULD be doing!